After almost two decades of experience as an elite triathlete and cyclist, I have learned how to be competitive at the elite level and what it takes to reach your potential as an athlete. 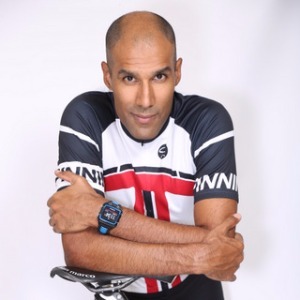 I have more than ten years of experience of coaching triathletes, runners and cyclists of all levels. Services available in English and Spanish. Dos decadas de experiencia como triatleta Élite y más de 10 años como coach de triatlón y ciclismo. As a triathlon and life coach, I offer my clients the necessary tools to find balance in their lives and success in swimming, cycling and running. Como coach de vida y de triatlón, ofrezco a mis clientes las herramientas necesarias para conseguir balance en sus vidas y éxito como corredores, ciclistas y nadadores. Athletes of all levels. Power meters are highly recommended. Athlete must have a Garmin or GPS device and upload every session on the Trainingpeaks account. Success. Coach Cesar Valera has been notified of your message.